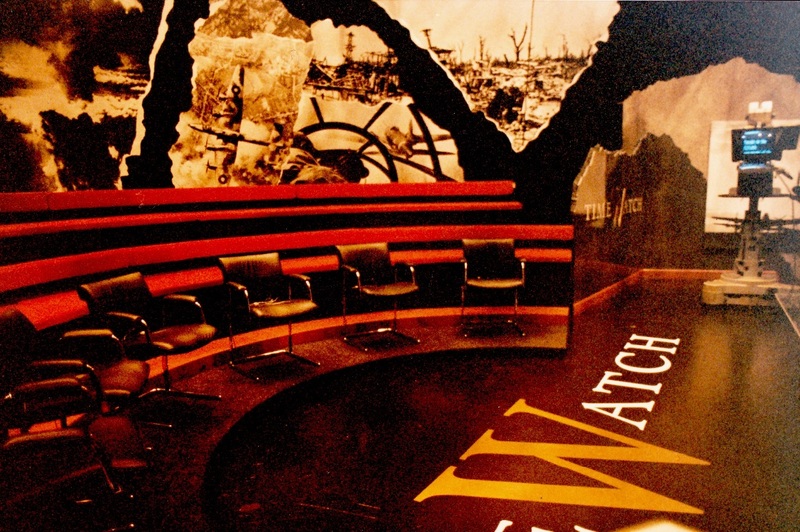 In 1992 I designed this studio debating set for TimeWatch editor Laurence Rees. 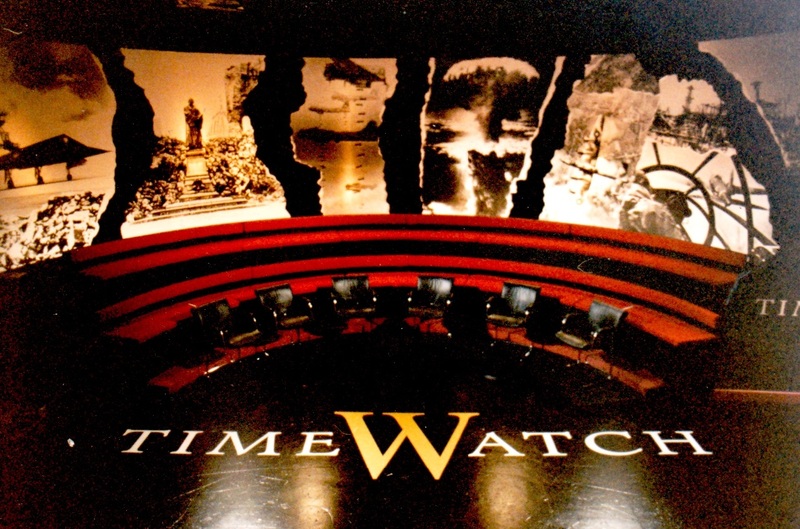 Hosted by Jonathan Dimbleby, the debate was amongst military experts and audience regarding the pro's and con's in terms of 'effectiveness' of the decision to participate in saturation bombing i.e. WW2 Coventry and Dresden, and the modern equivalent that was to come in the middle east! Extensive research was required at The Imperial War Museum archive for suitable photos to enlarge for the 'torn paper' effect on the rear flattage.No Googling for refs like today! The set was constructed immaculately by Monarch Joinery Ltd of Ipswich and I later went on to use them for my work with Deutsche Welle in Germany! The graphic granite at the side was beautifully 'etched' out and looked a treat!